Fruit pits and seeds which includes apples, pears, peaches, apricots, plums, nectarines and cherries, and others contain harmful toxins. The fruit flesh itself is fine and actually healthy, but be sure to take out all seeds and pits before serving. Peach pits contain one of the highest amounts of cyanide in the form of amygdalin, a cyanide and sugar compound which can be broken down in the body into the highly poisonous compound hydrogen cyanide. While no human deaths have been reported, it has been documented that hogs and cattle have succumbed to eating fallen peaches pit and all. So you can clearly see why you shouldn't feed these fruits and the others that may contain smaller amounts of cyanide to your parrots. What is interesting is that the flavor of the pits and seeds of these actually have an almond taste to them which would be one reason that your parrot would if given the chance try to eat them. Your parrot clearly doesn't know what is safe for him/her to eat and their curiosity can lead them into trouble. 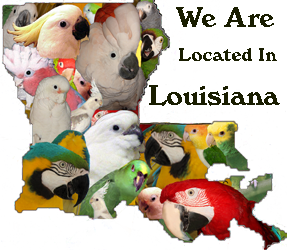 It is up to you to know, guide and give your parrot what is safe to eat. Never assume that your parrot knows best what is and isn't good for him/her. When in doubt leave it out as the old saying goes. Removing the seeds and pits that are harmful for your parrot is the only way to go. Also remember to wash all fruits well because there could be harmful pesticides on the fruit. Eliminating fruit from your parrots diet would be a tragedy as they are so healthy for them and only require a small effort on your part of removing all seeds, pits and washing your fruit well. Citrus fruit such as oranges, lemons, limes, grape fruit and the melon family of fruits such as watermelon, cantaloupe, pumpkin and others seeds are just fine for your parrot to eat and have much nutritious value. Copyright �1999 - 2017 Current all rights reserved. This entire website is copyrighted any pictures, graphics or material may not be copied or used in anyway without permission.